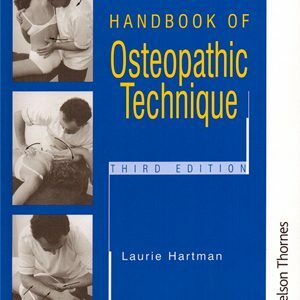 Laurie Hartman is Associate Professor of Osteopathic Technique at the British School of Osteopathy, and has been teaching osteopathic and manipulative technique and manual therapy since 1964. He is in great demand internationally and has taught and lectured in 17 different countries with osteopaths, physiotherapists, medical manipulative groups and chiropractors. 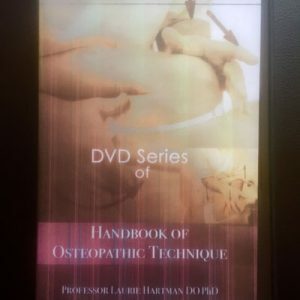 Professor Hartman’s development of classical BSO techniques has been a major force in bringing awareness of osteopathic methods to a world-wide audience. Osteopathic Techniques using safe and effective High Velocity Thrust. Set of 6 DVDs plus 1 DVD on Specific Soft Tissue Mobilising. The DVD set covers all aspects of patient handling and safe effective osteopathic manipulation. Total running time is 9.5 hours. The latest addition is 2 hours of general methods of technique and mobilising and is essential studying if you wish to improve your manual therapy results. Thrust into rotation combined lever and thrust sidelying.